Strippers gotta care about themselves a bit different than other folks. Our knees and minds are under more stress than society likes to acknowledge. 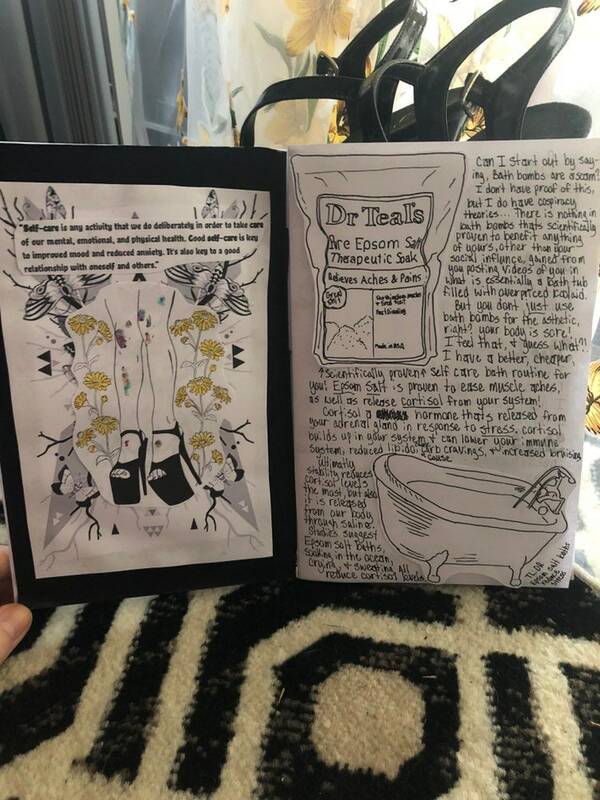 Maybe you want this zine to learn how to empathize with us a bit more, or learn some stripper self care life hacks. Or maybe you’re a stripper that wants a few more tips on how to treat yourself! Either way, this zines for you! Made diy punk style, printed and hand stapled upon purchase!